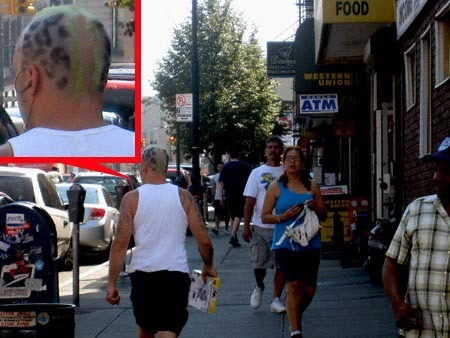 Greenpoint Fashion Watch: Times Are A’ Changin! 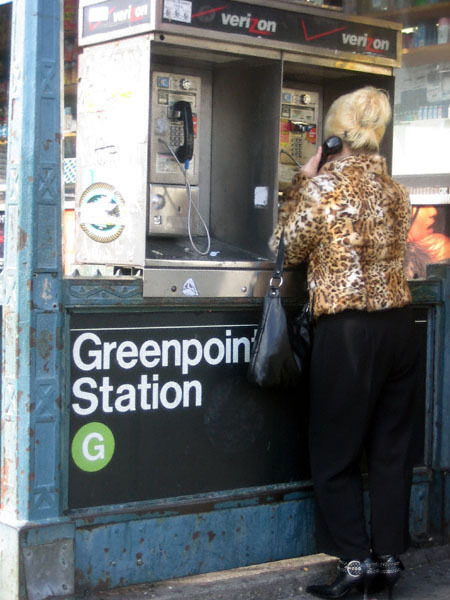 The first thing that struck me about Greenpoint is the affection the people (women primarily) have for wearing leopard print. My fair burgh is known for a number of things (drunks, Polish people and pollution to name a few); I would like to humbly suggest that this eccentric fashion sensibility be added to the list. If I had the money I would open a leopard print emporium. I would not lack customers, take this woman for example. The above photograph was taken by yours truly back in 2006. Granted, things have changed quite a bit here in the last two years. The Garden Spot has become COOL— and as a result it has undergone an unprecedented spate of luxurification. I see a lot of new faces nowadays. Here’s one such newbie I spied last weekend. I guess the more things change in Greenpoint the more they stay the same. This dude’s ‘do was quite remarkable. This photograph hardly does it justice. P.S. : I’d like to give a big shout out to this Hasidic gentlemen I saw on Eagle Street yesterday. I will not profess to understand his religious practices (as a feminist I find them troubling), but any guy man enough to carry a Hello Kitty bag in public is A-OK by my book. I always knew Hello Kitty would be the one to unite us all! Those pink things are hearts. 2 Comments on Greenpoint Fashion Watch: Times Are A’ Changin! 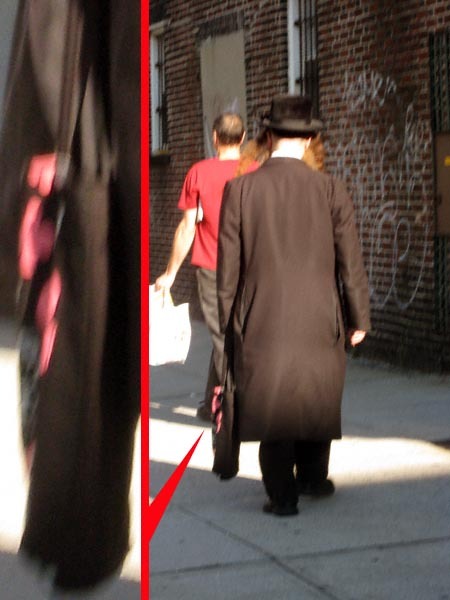 And that Hasidic Jew with the Hello Kitty bag deserves a round of applause. I mean, he could have carried it the other way (shielding the kitty from public view), but he did not. He’s a very brave man. I would seriously pay ten dollars to know what is playing on leopard print man’s headphones.